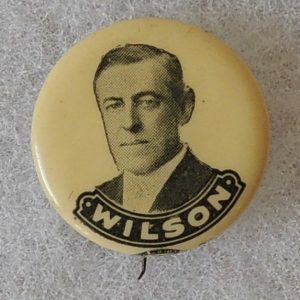 Thomas Woodrow Wilson (December 28, 1856 – February 3, 1924) was the 28th President of the United States, from 1913 to 1921. 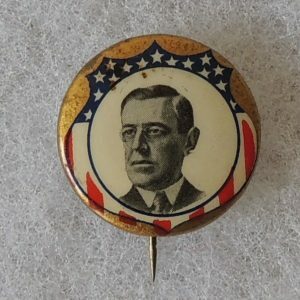 A leader of the Progressive Movement, he served as President of Princeton University from 1902 to 1910, and then as the Governor of New Jersey from 1911 to 1913. 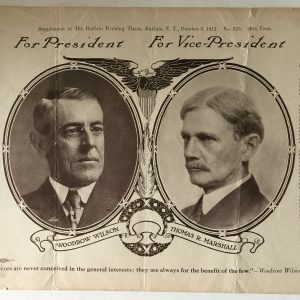 Running against Republican incumbent William Howard Taft, Socialist Party of America candidate Eugene V. Debs, and former President Progressive (“Bull Moose”) Party candidate Theodore Roosevelt, Wilson was elected President as a Democrat in 1912. 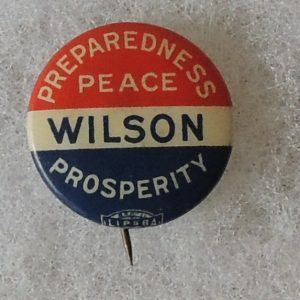 In 1912, Wilson gained the nomination on the 46th ballot at the convention. 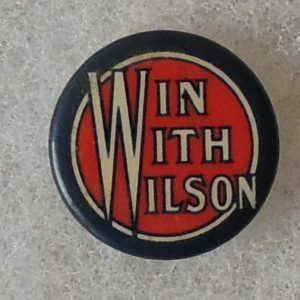 The primary reason that Wilson won the presidency was that Theodore Roosevelt and William Taft split the Republican vote. 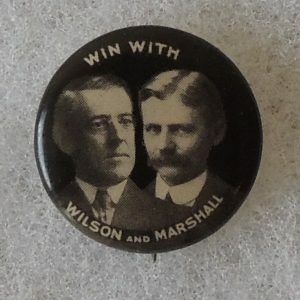 In 1916, Wilson won California by a mere 4,000 votes and therefore the electoral votes he needed to win the presidency over Charles E. Hughes. 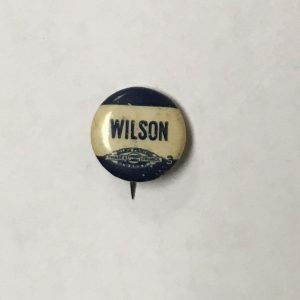 One of the Wilson’s themes in 1916 was the “8 hour work day,” which was featured on several buttons. 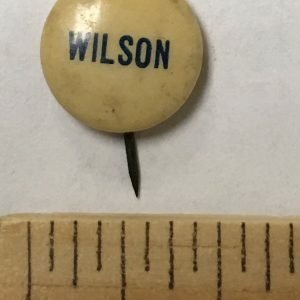 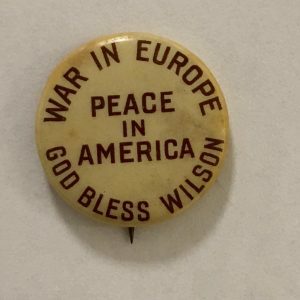 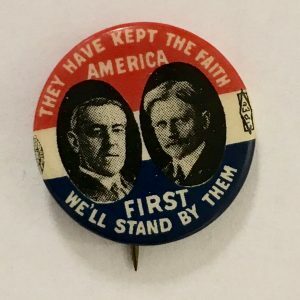 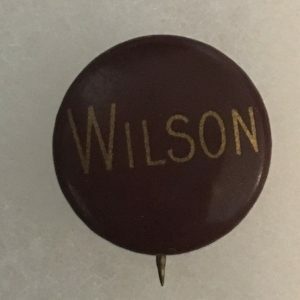 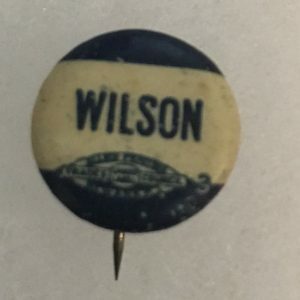 The major theme that year was that Wilson “kept us out of war.” Fewer button designs from both 1912 & 1916 featured bright colors and intricate designs.